Have you heard of the boiling frog experiment? It goes something like this... A frog, held near a pot of boiling water on a stove and enticed to jump in, would leap away from the steaming pot of water. But, place the frog in a pot with room temperature water, and turn the burner on low heat and the frog will sit contently as the water temperature rises. By the time the water starts boiling, the frog doesn't realize that it's being boiled to death. A sad story for sure, and a good analogy of how our society finds ourselves in such a devastating amounts of debt. A little debt, here, a little more over there, and sooner or later, we're left with payments for stuff we already have, and neck deep in payments. What do I mean by things.... well, anything paid for on credit, essentially things that are wanted now vs. waiting for later. Sure, there is always the "I get rewards" argument, and "I pay it off every month" statement. I hear ya! I know... we've been there and done that. But, having that line of credit and plastic card in our wallets creates a false sense of winning financially. 99% of the time, our plans work out. We pay the card off and be on our merry way thinking that we took advantage of the credit card company. Credit card companies are in the business of making money, not giving it away. While it might be working in the short-term, sooner or later they will get theirs. If they didn't, they would be out of business. Perhaps you're winning the game now, but what would you do if you had a $5,000 event happen? (health, vehicle, home repair, etc.) Would you be able to pay that card off that month? Or, would that be the month the balance is too much to handle? Getting out of debt and staying out of debt is no more than a perspective shift from the "norm." Committing to staying out of the pot of water, even when it's room temperature. Once we know that the water will boil at some point, we would be foolish to get in and stay in the water. It's dangerous, so we just stay away. 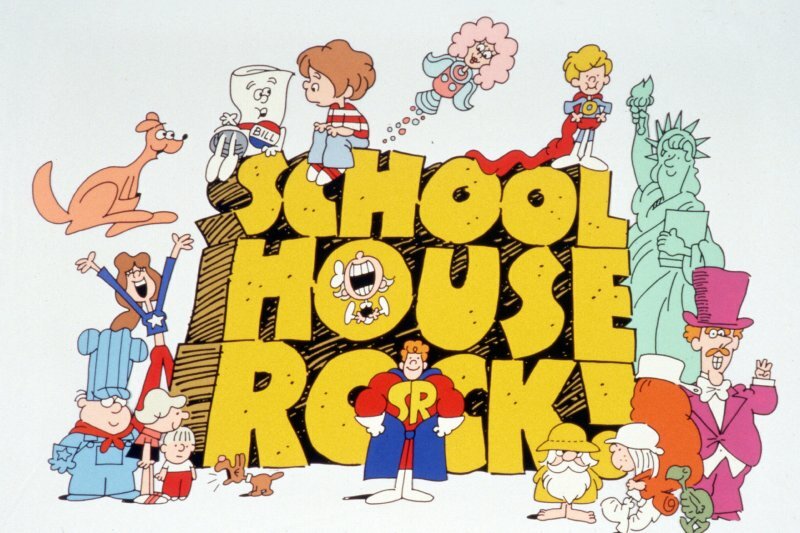 As my VHS of "School House Rock" taught me... KNOWLEDGE IS POWER! Armed with knowledge, we can begin to make better decisions that help us win with money. Like the frog, if we didn't make some intentional decisions to stay out of the water (debt) we would be increasing our likely hood of being boiled. Here's a few key thoughts that keep us on track and away from debt. Make one payment not multiple payments: If we can't purchase the item in one payment (in full), we shouldn't buy it. Instead, we'll save up for it and get it at a later time when we can afford it for realz. The payments don't follow us home, and it helps us spend without that guilty feeling of buyer's remorse. Eliminate Temptations: It's too easy to be tempted to spend more when using credit. So, we don't have any credit cards. We use our debit card for everything, or cash. And by keeping and sticking to a budget, we are able to save for things over time and pay cash for them. Which is much more rewarding that getting the stuff and then worrying about how or when you'll get around to paying it off. Do the math: Add up how much is going toward debt per month and think about what other things you'd rather do with that money. Then calculate how much interest will be paid if you simply make minimum payments. This should be motivating to pay off the debt. I recently did an interview with mint.com about staying away from debt. After reading the article again, it reminded me of the boiling frog experiment. You can read the interview here:"Expert Interview with Eric Williams about Staying Away from Debt for Mint," they asked some really thoughtful questions too! And of course, if you want help developing a strategy to get out of debt, let me know! How do you stay away from debt? What actions have you taken to do that?